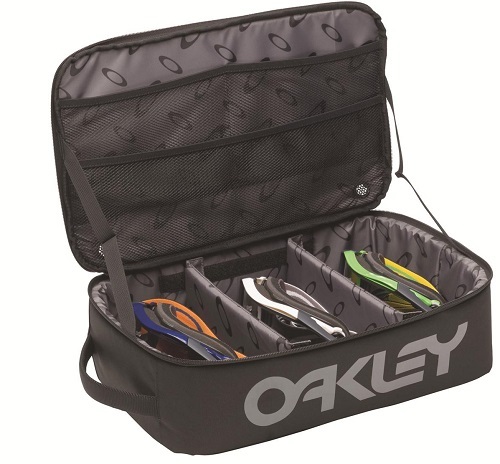 Keep all your goggles neat and secure with this carrying case by Oakley. It is designed to keep eyewear protected and organised, and as it is durable and roomy, it is excellent for goggle storage. The bag opens to reveal three padded sections, with three plush dividers, which can be removed for customizable storage. The small mesh panel provides additional space, while metal grommets offer excellent ventilation.